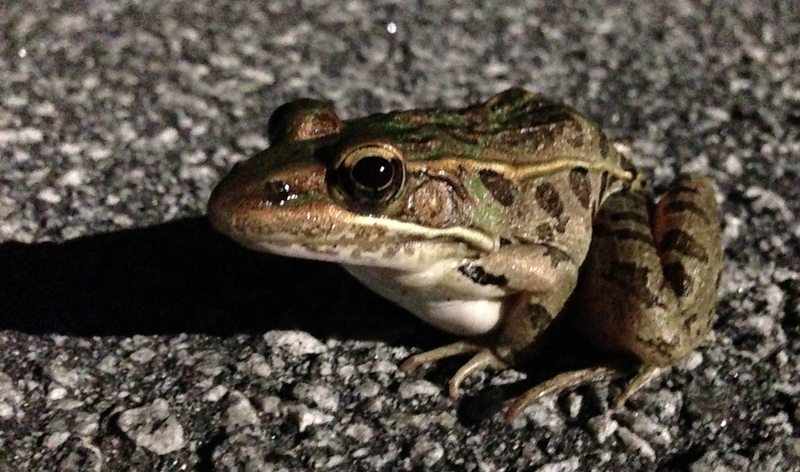 According to the Savannah River Ecology Lab: "Although Leopard Frogs are often found close to water, they are more terrestrial than other ranid frogs and can often be found far from water. They are active both by day and night and can be seen in large numbers on rainy nights. 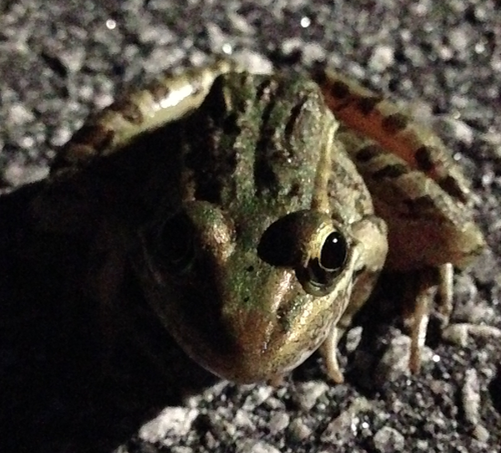 Leopard frogs breed primarily in the winter and spring but sometimes breed again in the fall. Often a heavy winter rain will prompt explosive breeding in this species." Beware, Harrington Drive denizens, beware! Hey baby, hey baby, hey baby.